Global Blockchain Technologies Corp (TSXV: BLOC) has taken investors for a wild ride over the course of the last three months. The value of the stock has had so many ups and downs that it better resembles the actions of a yo-yo rather than that of an investment. This is largely the result of multiple rounds of financing being announced, which does little for current shareholders. That being said, the company has made moves to acquire some decent assets over the previous few months. It has dramatically reshaped the company as a result of these actions, and has drawn in new investors consistently. Further to this, the value of the company itself has skyrocketed due to these moves made by management. To get a better grasp on the dramatic reshaping of Global Blockchain, we elected to focus this weeks full analysis on the company. Our analysis on Global Blockchain begins on the date in which its predecessor, Carrus Capital Corporation, first mentioned the word “blockchain”. 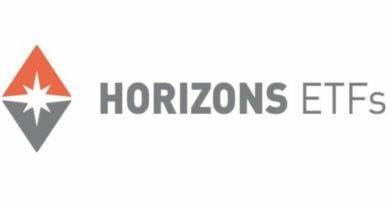 On August 30, 2017 it was announced that the company had received condition approval by the Canadian Securities Exchange to do a financing consisting of special warrants. This raise consisted of just over 26.6 million special warrants. These units were priced at a rate of $0.30 per unit, and they consisted of one common share of the company as well as one warrant. The warrant contains an eercise price of $0.40, for a period of twenty four months. The reasoning behind this raise, is quoted as follows. -Quote from Global Blockchain Technologies Corp’s August 30, 2017 news release. The raise officially closed on September 25, 2017 fully subscribed. 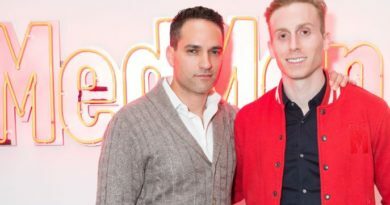 The company now had $8,000,000 to put towards its first acquisition in the blockchain sector. Three days later, without any related assets, it requested exchange approval to change its name to Global Blockchain Technologies Corp, and modify its ticker symbol to “BLOC”. This was completed a few days later. Information surrounding the first known asset acquisition by Global Blockchain was released to the public on November 7. 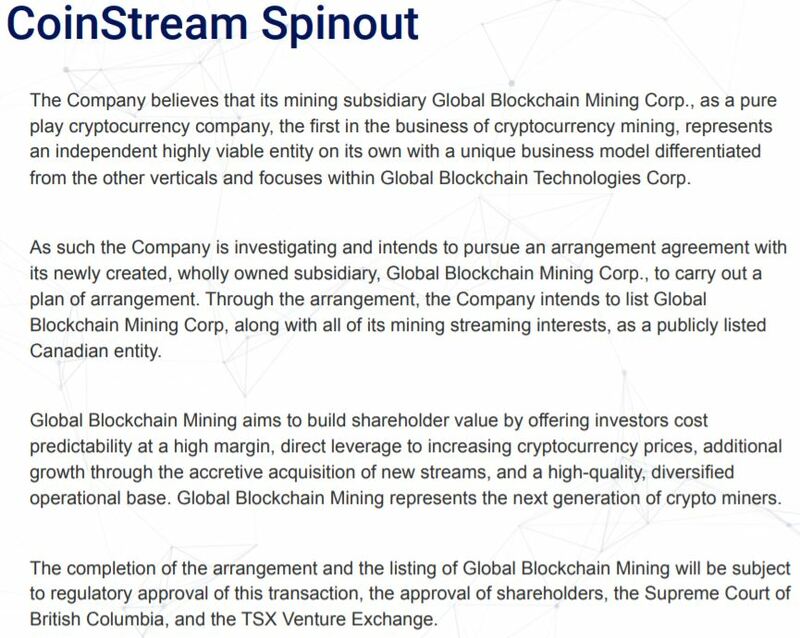 On this date it was announced that the company had formed a mining division, after acquiring 49.9% of Coinstream Mining Corp. Coinstream is a “streaming company” for the cryptocurrency mining world. Essentially, they provide upfront funding for operations, in return for a portion of future cash flows or of a specified asset. In this case, they receive coins mined by the companies they invest in at a fixed price for a predetermined time period. Under the terms of this agreement, 49.9% of Coinstream will be acquired by Global Blockchain for a total price of 3,800,000 common shares of Global Blockchain. Based on the November 6 closing price of BLOC, this places a value on the transaction of approximately $11,590,000. The closing of this transaction is subject to Global Blockchain raising $30 million in funding, of which $10 million will be committed to Coinstream for funding purposes. Additionally, the intention of the Global Blockchain Mining Division is for it to be spun out. Although no time frame is given for this transaction, the company intends to publicly list the division to unlock further value for shareholders. Although it appeared that initially this agreement was in the form of a definitive agreement, on December 13 the company issued an operational update. Within, it identified that this in fact was not a definitive agreement and the deal was subject to a number of terms. It also released a number of details related to Coinstream Mining Corp. Most significant, is that Coinstream was only established in November 2017. Furthermore, the company as of yet has no hard assets. Rather, it only has the intention of agreements in place with Cryptoba. The agreement with Global Blockchain is subject to Coinstream obtaining this agreement, details of which were not released in the initial news release. At its core, the purpose of Global Blockchain is to provide investments within the blockchain sector. The intention is for the company to provide investors with access to a range of sub sectors within the industry, such as current initial coin offerings (ICO’s) or even the cryptocurrencies themselves such as Bitcoin and Ethereum. The following snippet from the company’s investor presentation gives a quick look at the focus of the company. Snippet from slide 6 of Global Blockchain’s investor presentation, outlining the investment focus of the company. The intent of the company is to continuously spin-out its assets. The reasoning behind this is that it will consistently provide additional value to shareholders, by providing them with a growing portfolio of investments in the sector. Under this format, the company essentially has two core divisions at the time of writing. These including its mining division, and its blockchain division. Each division acts essentially as a silo, in order to be able spin out companies in the future from the organization. The purpose of the companies blockchain division is to provide investors with value through an “exchange traded fund” format. Essentially, the company invests capital in a variety of crypto currencies in order to provide shareholders with access to a range of coins in the sector. 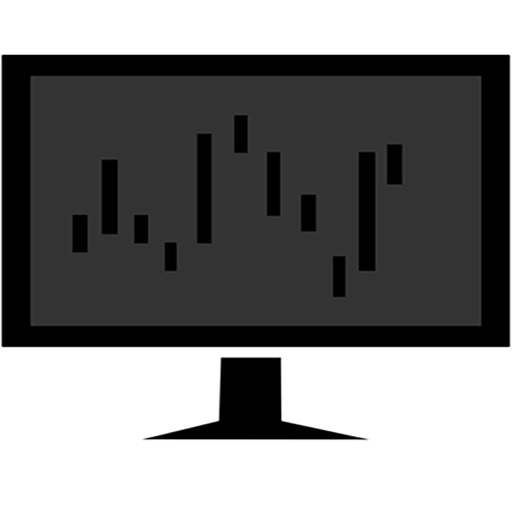 This in turn diversifies their investment, and provides exposure to coins in a range of different stages. For this, the company has classified three sub sectors in the area of coins, and has identified the ratios at which it intends to place its funds. The below snippet from the investor presentation provides further details on this, including the current trends in the industry. Snippet from slide 18 of the Global Blockchain investor presentation, outlining the investment focus of its blockchain division. 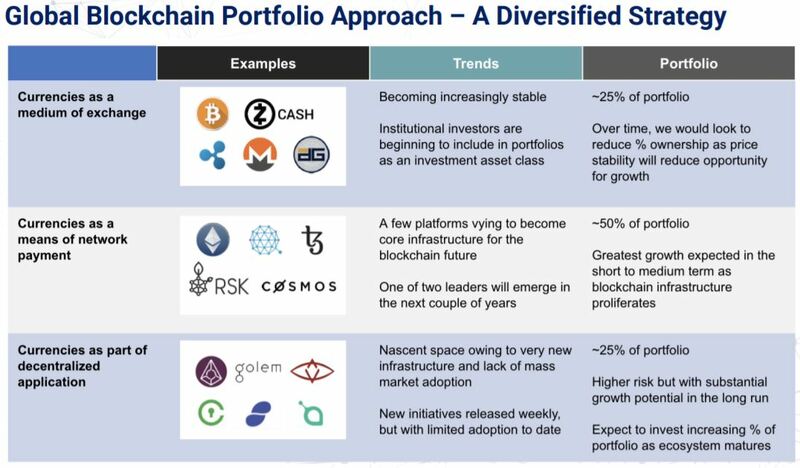 Furthermore, the intention is for Global Blockchain to then place funding in a range of coins in these sub sectors. To do so it has established an ICO incubator, who’s purpose is to nurture new coins in the marketplace that have a high degree of future potential. Once they have been incubated successfully by Global Blockchain, the investment will then be spun out by the company to unlock value for shareholders. Although the company has identified its business plan with respect to the blockchain sub sector of cryptocurrencies, there’s a bit of an issue that any investor performing a deep dive should have picked up on. No where does the company explicitly state that it actual has investments in cryptocurrencies. Global Blockchain at no point has indicated that it has actually placed funds in to these coins. It doesn’t list any of the ICO’s that it has reportedly funded, bringing in to question whether or not they actually exist. Nor has it ever publicly released an actual breakdown of its investments. Based on its meteoric rise in share price, this is a bit of a concern. As previously mentioned, the Global Blockchain Mining Division was launched on November 7, with the announcement of an agreement. The agreement which is believed to be a letter of intent, is to acquire Coinstream Mining Corp, a streaming company. As such, we’ll take a closer look at this organization. Coinstream was incorporated at the beginning of November 2017. Presumably, the formation was a result of a group of investors discovering that an opportunity existed with Cryptoba, a startup mining company. Cryptoba was in need of funds, and these investors wanted to provide it. To do so, Coinstream was formed which then entered into an agreement to provide Cryptoba with the funding required to establish its operations. Under the terms of this agreement, Coinstream Mining Corp will provide Cryptoba with $10,000,000 to establish its operations as a mining company. In exchange, Cryptoba will provide Coinstream with 2,500 bitcoins per year, at a defined price of $1,000 each. Should the price of bitcoin rise above $15,000, the price per coin will increase to $1,500. Provisions for a price increase will also be established in relation to if the hashrate required to mine the coins exceeds a defined threshold. This agreement is intended to be valid for five years, pending the signing of a definitive agreement. Over the defined term, this equates to Coinstream acquiring 12,500 coins, at a total price somewhere between $12,500,000 and $18,750,000. This does not include the initial $10,000,000 required to obtain this pricing. However, at the time of this initial agreement the price of bitcoin was at approximately $7,000. As a result of the recent run to $20,000, it is unlikely that this letter of intent will be converted to a definitive agreement under these pricing terms. It is highly likely that the price per coin that Coinstream pays will either increase significantly, or Cryptoba will simply walk away from the letter of intent. In addition to the Cryptoba deal, Coinstream has direct mining operations. It has not been defined how large these operations are, aside from the detail that the rigs have mined a total of two bitcoins. Furthermore, it recently signed an agreement to purchase 25% of Distributive Mining for a total of $1,500,000. The focus of Distributive Mining is to implement technology that enables any connected device to mine cryptocurrencies, such as a mobile phone or gaming console. Snippet from slide 26 of Global Blockchain’s investor presentation, outlining the benefits of the proposed spin out. With the completion of this 49.9% stake in Coinstream Mining Corp, the intention of Global Blockchain is to spin out the company. The belief is that this will unlock shareholder value for investors, while creating an organization solely focused on investment within blockchain streaming and coin mining companies. The benefit to Global Blockchain by doing this, is that it will presumably hold a stake in the organization. As this value is unlocked, the company’s underlying value would increase as well. The most recent financials for Global Blockchain were issued on September 25, 2017, in relation to the period ending July 31, 2017. Therefore, they are slightly outdated in that they apply to Carrus Capital, rather than Global Blockchain. This in turn signifies that it contains none of the transactions related to its current blockchain holdings. However, we are still able to glean valuable information from these financials, such as the condition the company was in. 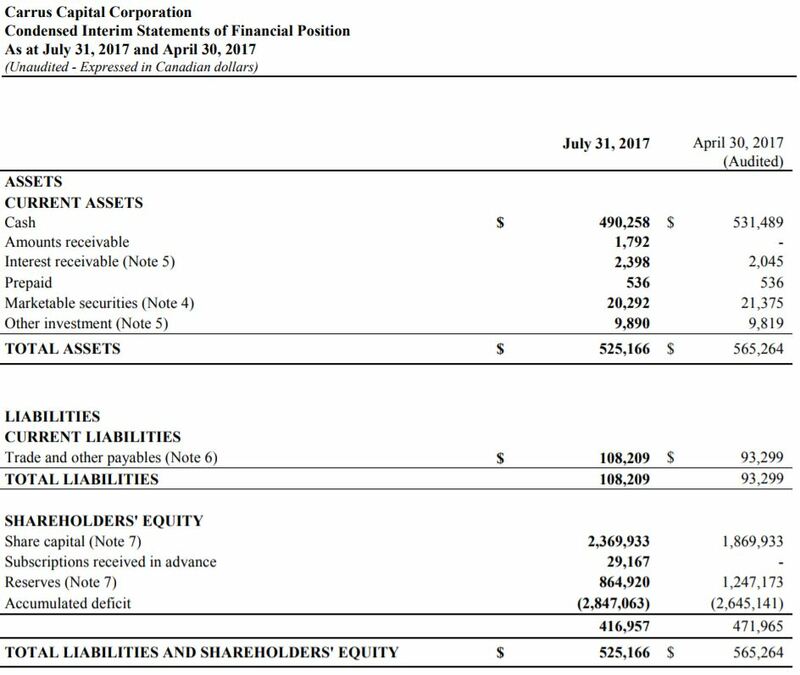 Overall, the balance sheet is in decent condition. It’s certainly one of the better ones we’ve seen as of late. They have minimal liabilities, all of which are current. A total of $108,209 is due within the next twelve months. Compared to Global Blockchain’s cash position of $490,258, there is no immediate concern of default. However, it does impact the amount of funds that can be put towards investments. Global Blockchain’s (formerly Carrus Capital) balance sheet as of July 31, 2017. In total, the company had $525,166 worth of current assets as of July 31. Total accumulated deficit came in at $2.8 million, which believe it or not truly is not that bad. Compared to some of its peers and other small cap companies, this is a fairly strong balance sheet. With respect to the cash flows of the company, Global Blockchain recorded an investment loss of $1,083 for the quarter. This compared to a loss of $21,659 for the comparable period a year prior. Mixed with total expenses of $201,089 and some small foreign exchange loss, and the total loss for the period amounted to $201,922, or $0.01 per share. This compares to a loss of $44,102 for the quarter a year prior, or $0.02 per share. As of July 31, 2017 the fully diluted share count of Global Blockchain came to a total of 29,529,823 shares. This figure does not include the outstanding special warrants that amounted to 336,667 units consisting of full shares and full warrants. It is evident that Global Blockchain prefers to issue special warrants, as they do not immediately hit the shareholder equity line. Global Blockchain’s estimated share structure as of December 17, 2017. It is estimated that as of December 17, 2017, there is approximately 177.8 million shares fully diluted of Global Blockchain. This is an estimate because we included the current private placement of 15.7 million special warrants that is due to close on December 19. This estimate did not include the likely 10% finders warrants associated with the transaction. It also did not include the optional 25% upsizing on the deal. Based on the closing price of $2.46 on December 15, the market cap is an estimated $223.5 million. On a fully diluted basis, this comes in at an estimated $437.4 million. If you prefer to not include the open financing, the current market capitalization is approximately $184.9 million. What is evident however, is the disservice the company has done to long term shareholders. Within two quarters, the company has added approximately 147,000,000 units to the total diluted share count. Any sizable position in the company prior to July 31 is now almost insignificant. There are no signs of this trend coming to an end either. This erosion of shareholder value needs to come to a hard stop. We began our analysis on Global Blockchain Technologies Corp with a favorable outlook. This was based on positive market sentiment for the company, as well as information that had been heard in passing. In general, it can be said the market discussion is positive for the company. This is perhaps how the company was able to perform three raises in such a short time frame. However, based on the information discovered it is difficult to remain bullish on this company long term. We truly like what they are doing in several aspects. These include engaging a streaming company that has a large potential for profits, as well as investing in a collection of coins. But this still does not provide cover for the lack of transparency the company has had thus far. Perhaps it is a result of the new management recently put in place that may be inexperienced in the markets. Regardless, this cannot be used as an excuse. For instance, there has been no clarity on what assets the company actually controls. Initially, it appears the company has investments in several cryptocurrencies. But there is no record of what exactly their investments consist of. Nor is there a record of where the funds previously raised have been spent. This is alarming. One would think that had the company invested in a handful of coins with the initial $8 million raise closed on September 25, we would be aware of it. The gains these investments would have seen as of late would be remarkable and would certainly bring in investors to Global Blockchain. Instead, investors are left guessing at what their money was used for. Furthermore, the news release issued November 7 was entirely misleading to investors. The language in which was used for the release indicated that an agreement had been signed – not a letter of intent. There is a significant disparity between these two document types. It appeared as if the 49.9% stake within Coinstream Mining Corp was only reliant upon the issuance of 3.8 million shares, and a raise of $30 million being completed. No mention of a definitive agreement being required were ever mentioned. 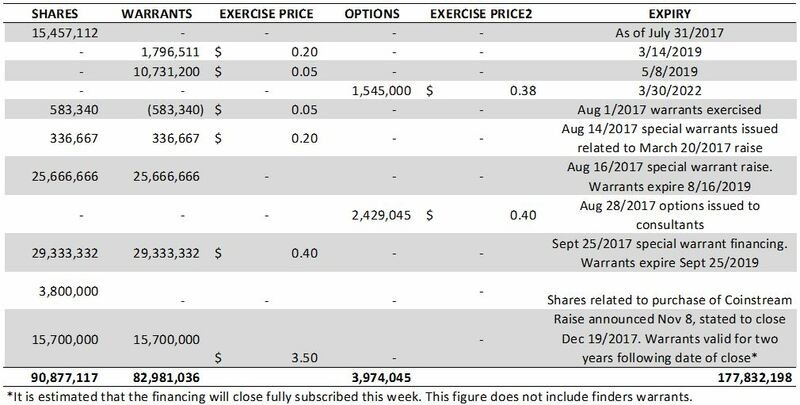 With any luck, the interim financials due to be released by the end of the month will provide some clarity for investors. Perhaps we just aren’t giving the company the benefit of the doubt, or we are being too critical. There should be some very valuable information contained within to tell us where the money actually went. The subsequent events section should be just as beneficial. Until this point in time however, we’ll remain on the sidelines for Global Blockchain. Be critical of where you’re money is being invested. Research in a pessimistic viewpoint is required. And as always, Dive Deep. Information for this analysis was found via Sedar, Canadian Insider, Global Blockchain, and Bitcoin.com. The author has no securities or affiliations related to this organization. Not a recommendation to buy or sell. Always do additional research and consult a professional before purchasing a security. BRIEF: ePlay Digital – Is it Really so Different?